Dark Stag’s range of carbon barber combs are ideal for your work-station. Anti-static and heat-resistant. Our range of barber combs has something for everyone. Taper combs for the classic scissor or razor over comb work, with wide teeth for low-tension cutting and fine teeth for precision control. 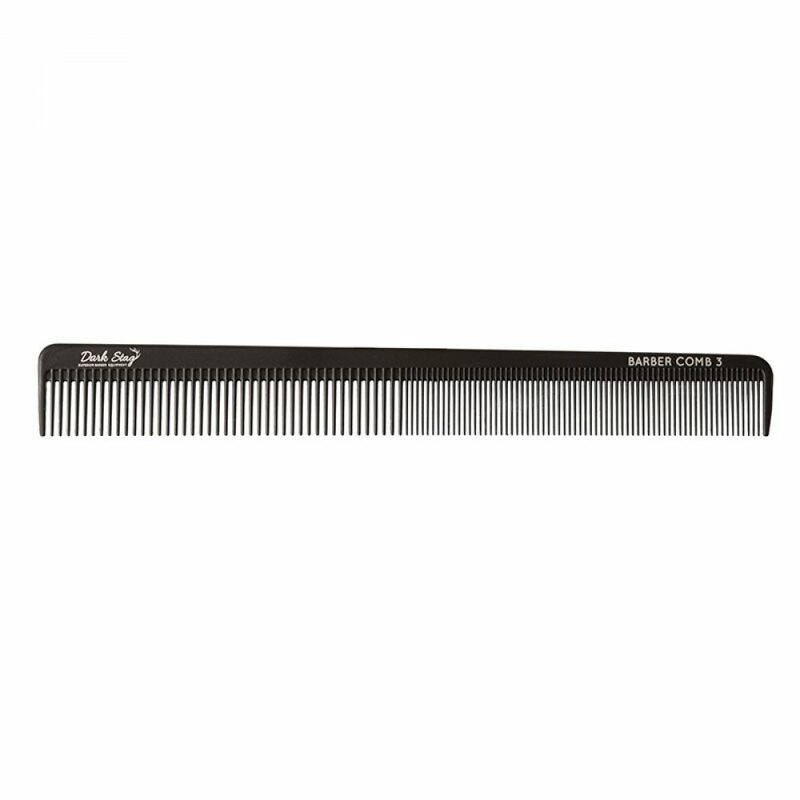 Cutting combs for the same scissor/razor over comb work, but also a great all-rounder, a very popular style of comb. Military combs that are longer in design, perfect for styling and grooming. Or you can treat yourself to all three in one handy bundle! Dark Stag’s barber combs are all made of a carbon fibre mix, which ensures extreme strength and durability. All are anti-static and heat resistant up to an astonishing 230°C.